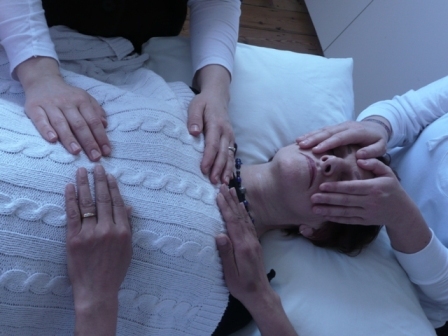 Having Reiki treatments every day over four consecutive days can be a very powerful way of receiving Reiki healing, as the energy is able to move deeper and deeper each day, often having quite profound healing results. There is something special about receiving four consecutive Reiki treatments. It can feel like a cycle completing. I like to offer Reiki Share over four consecutive days for Reiki students to enable them to experience not just receiving four consecutive Reiki treatments, but to experience giving four consecutive Reiki treatments as well – in a supported environment. If you would like to be able to give four consecutive Reiki treatments, it is best to have experienced them yourself first. It can feel like a mini Reiki retreat, that you can attend without having to go anywhere, without having to take time off work! Great way to start the New Year. Time: Thursday and Friday 6:30 pm to 9:30 pm; Saturday and Sunday 10 am to 1 pm. “When I first read about your proposed 4 day Reiki share, I immediately knew I wanted to take part. I am recovering from my second knee replacement operation and the slow process of recovery had left me feeling quite low. On the first evening’s session, I felt my whole leg pulsed for several minutes as it released tension it had been holding. The following morning, in a moment of clarity, I was able to see how the pain and fear of it not healing properly had left me feeling ‘lost to myself.’ As soon as I could see my situation clearly, I knew I could overcome it. On the second evening, sharing these thoughts resonated with the others and was helpful to all. I felt relaxed and tired, as if the healing was going deeper. On the third day I was aware of releasing tension from my pelvis ( which had also been painful) and by the end of the session I felt deeply replenished.On the fourth day I was ‘beyond words’, just glad to be in that Reiki space again. I had a sense of total immersion. As the sessions went by, the ‘giving’ time felt shorter and shorter and the ‘receving time’ felt deeper and more timeless. By the end of the 4 days I just felt so mellow! And sad and bereft that it had ended so quickly. Please let me know if you would like to attend this event. Places are limited, so you would need to book a place by contacting me. It is essential to attend all four days. Any queries, please feel free to contact me. I would love to hear from you. How many Reiki treatments would I need?